Back in the golden age of computing, circa 1960’s everyone was jumping on to the computer bandwagon. Most often than not, one would buy a computer from Intel or a Macintosh and then go on to write their own programs or applications. It was during that time, that many standard programming languages which are pretty commonly used now, were created. Out of which FORTRAN, COBOL and BASIC are still in use. While computing languages may make or break an application, one of the key ingredients of computing is chip or the processor which is in the machine. Raspberry Pi is a small computerized chip. It is instrumental in creating many projects. But, it needs best Raspberry Pi apps, which make the experience of using a Raspberry Pi easier and more fun. So, without further ado, here are the best applications for Raspberry Pi. What happens when Raspberry Pi inspires developers? They create a whole new web browser that suits its vast scope, albeit limited size the best. The Vivaldi Browser tops our list of best Raspberry Pi applications. This web browser boasts of offering the following features that are a class apart when compared to the usual web browsers. Default functions of screenshots and notes. Advanced Tab Management for easy use. Bookmarking and downloads made easy with a side panel. Recording browser history with statistics. Customizable look of its interface. Launched at the tail end of 2017, this is without doubt the best Raspberry Pi application. Download Vivaldi Browser here. For those with very particular choice in web browsing, Chromium is the perfect answer. Compatible even with the small size of Raspberry Pi this Google associated product allows for majority of Google’s plugins to work on Raspberry Pi. The added feather in its kitty is that it comes default and preinstalled with Raspbian OS. For it to work, all one needs to do is install the latest version. This web browser is compatible with Pepper Flash plugin, with which one can enjoy Flash games and online streaming. Download Chromium here. 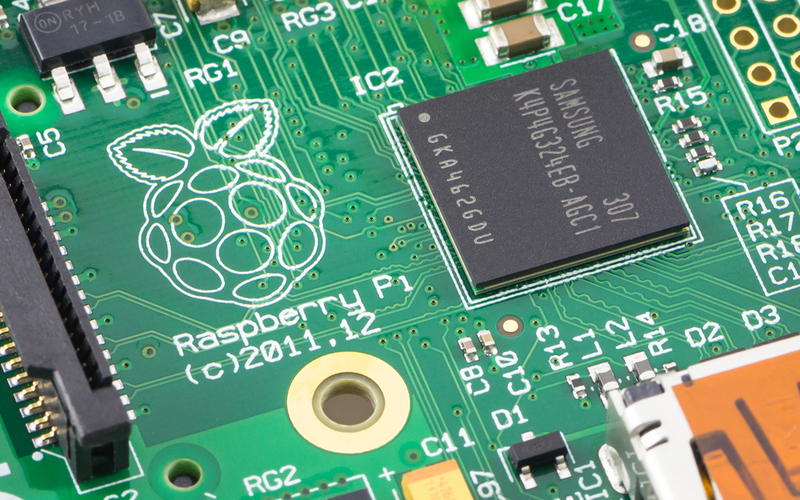 The phrase, ‘All good things come in small packages’ is the most apt in describing Raspberry Pi. Hence, the thought that one can use it to watch audio visuals was unimaginable at the time of its first launch. The adage that there are very few multimedia files that VLC Player can’t play hold true even when loaded on Raspberry Pi. This famous application works seamlessly on Raspbian. Download VLC Player here. 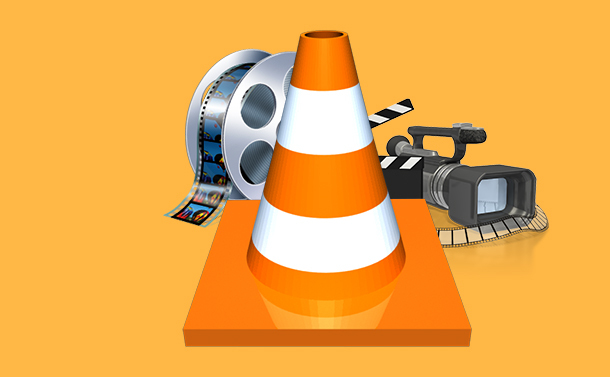 Explore All New Features of VLC Media Player...VLC media player gets a lot of new features in its major update version 3.0 Vetinari. Gimp is a rather atrociously named copy of Adobe Photoshop. This software once installed on Raspberry Pi enabled computer, makes image editing easy. All the features that are offered by the run in the mill photo editing apps are available on Gimp. (Seriously, who came up with this name?) A word of caution. This software works slower than most due to the limited processing power of the Raspberry Pi. Download GIMP here. Is a computer a computer if it does not have the ability to send an email? Similarly, a Raspberry Pi enabled computer will be incomplete without having a mailing option. For this end, we recommend the IceDove on the halfway mark of our list of best applications for Raspberry Pi. IceDove supports chats, manages emails, and even gives one access to the newsfeed. The bonus of adding this application on to the Raspberry Pi is that it comes with an extension named IceOwl, which is a calendar for keeping one’s email synced. This application is easily compatible with Google Hangouts. A win win situation here! Download IceDove here. Gamers Alert! Yes, you heard that right. One can easily play games on the Raspberry Pi. All one needs to do is download DOSBox for a complete gaming experience. With the focus of Raspberry Pi is children and young explorers, it was a sad bit of reality that with the exception of Minecraft Pi, there were hardly any mainstream games that were developed on this platform. As it can handle emulation, classic PC games are making a comeback via this medium. Classic games that once ran on MS Dos can now be played via DOSBox. Once installed, one can bet it shall be a blast from the past for many. Download DOSBox here. This Productivity suite is compatible with all things Linux. With Raspberry Pi essentially being a Linux computer, LibreOffice to runs on Raspberry Pi. with this application one can word process on Writer, (similar to WordPad) create spreadsheets on Calc (similar to Excel) create pictures on Draw (similar to Paint) and even build presentations with Impress (similar to PowerPoint). Easily compatible with Microsoft Office and Google Drive, this is a must have Raspberry Pi application. Download LibreOffice here. Now is when things get interesting. A word of caution, Deluge is a Bit Torrent client. But, with it, one can use it for downloading data from one’s Raspberry Pi to another location. All one needs to do is attach additional storage space to it. It is after all a necessary component for thin client setup (lightweight computer) Download Deluge here. This SD Card Copier is a must have Raspberry Pi application simply because of the lightweight nature of this Raspbian run computer, one needs to have a external memory card. Win32 Disk Imager only makes it easy for one to transfer data from one source to another. Usually a external HDD is enough for this purpose but in order to create entire backups of your Raspberry Pi’s external memory, one must use a standard desktop operating system or in this case either Linux or Raspbian. A SD Card Copier application only makes this process easier. Download Win32 Disk Imager here. Nerd Alert! A Raspberry Pi has a little something to offer everyone. Even bookworms who are comfortable reading a eBook. With Calibre, one can maintain any document collection that they want. The application users love its UI that allows them to custom tag and arrange collections. Also, it converts between a vast range of formats. When one plugs into their Kindle, Calibre automatically identifies the device. What more can one ask for? Download Calibre here. There you have it folks. Raspberry Pi Apps that are the perfect go to tool for anyone who wants to custom build a device that can create unique interfaces or even create applications and modules of their choice. The above-mentioned applications make Raspbian use easier. Do drop a line in our comment section below to share your views on the same.